Discussion in 'Broker Discussion' started by Julia NordFX, Nov 1, 2012. Official discussion thread for NordFX at Digital Cash Palace. I’m an official representative of NordFX (www.NordFX.com). Let me introduce the company and tell a few words about our advantages. You can ask all your questions here. I will also keep you informed about our new services, current promotions and their results. I hope you will bookmark this thread. No requotes! A paradise for scalpers! If you are ready for a new level of trading, here is the door! I¡¯m an official representative of (www.NordFX.com). Let me introduce the company and tell a few words about our advantages. You can ask here all your questions. I will also keep you informed about our new services, current promotions and their results. Hope, you will bookmark this thread. If you are ready for the new level of trading, here is the door! well actually i have been using nordfx for the pass few years before I drop them to uwcfx due to passward conflict which i have been having with them so for now am making plans to go back to this broker but i still have my fund with them so kindly advice me on what step to take to get my passward back. Start: 26.11.2012 00:00 (server time). Finish: 07.12.2012 22:00 (server time). I’m an official representative of (www.NordFX.com). Let me introduce the company and tell a few words about our advantages. You can ask here all your questions. I will also keep you informed about our new services, current promotions and their results. Hope, you will bookmark this thread. I am so sorry for this case, please, let me know your account number and i will try to explain you everything. Thanks so much. Please, find the explanation in your personal messages. Thank you for your response, i already read nordfx term of services, i always do it first before i apply to a broker... that's why i always do verified my account first before start to make deposit or start to trade because i don't want to get trouble in the future. For the purpose of improving the quality of our services, we’ll be conducting maintenance work over this weekend (24-25 November). I have sent you the personal message. ECN (Electronic Communication Network) is a way of automatic organization of trading of the financial instruments where multiple sources of liquidity (banks) are united with an electronic system for buy/sell transactions. Integral is one of the world's leading ECN systems, which is created to bring together all the market members. Founded in 1993, it has earned immense popularity, both among the largest banks and financial institutions, and among the community of individual traders, for whom several products are offered, enabling FX trading at the lowest cost and maximum convenience. Nowadays, Integral's offices are located worldwide from Silicon Valley (California), New York and London to Tokyo, Singapore and Bangalore, allowing to achieve a real global coverage for the members of the system. Being the primary broker, NordFX is pleased to offer to customers the direct access to the global liquidity of Integral. NFX Trades is a trading terminal built on FX Inside Professional platform. It gives access to the high liquidity, gathered within ECN Integral, which is due to the fast execution (time of order's execution is about 40 ms) significantly reduce the transaction costs, and thereby significantly increase the profits gained. An impressive number of different order types and execution options optimizes the overall trading process depending on personal preferences of a trader. Being a File Transfer Protocol FIX API is an international standard for data exchange between FX exchange members in a real time. ECN Integral can be fully accessed through this protocol of exchange of financial information in case where trader prefers using trading robot or other third-party programs. For the purpose of improving the quality of our services, we’ll be conducting maintenance work over this weekend (8-9 December). From 02:00 25.12.2012 to 02:00 02.01.2013 levels of margin-call and stop-out will be tripled, and become 120% / 60% for micro, standard, welcome and zulu accounts. In the absence of a stable liquidity in the market, the company Nord FX reserves the right to increase the spreads on financial instruments included in the quotation list of “micro” and “welcome” accounts, or to stop quoting on specific currencies (any type of account) until the market situation is back to normal. We remind you that the holiday period is characterized by low liquidity and unpredictable movements in the market. Therefore, Nord FX recommends taking care of leaving enough margin for any open positions that can be left on during the holidays, in order to avoid automatic liquidation of positions at undesired prices. Start the New Year with the professional partner!!! Our affiliate program is very simple and effective. You attract the clients and obtain commission from their trading activity. We offer you 30% of spread of every transaction of your client! 3455579, 3455585 – Same IP. Start: 04.03.2013 00:00 (server time). Finish: 15.03.2013 22:00 (server time). NETELLER is one of the largest independent money transfer businesses that services both companies and individuals. A NETELLER wallet allows making and receiving payments on thousands of websites. A big number of options for funding the NETELLER account and withdrawing money make the use of the wallet even handier. NETELLER offers its clients international money transfers in 185 countries and 19 currencies, with automatic currency conversion. The security and reliability of this service are ensured by such means of protection as 128-bit encryption technology, firewalls, safe data-processing centers and many others. Moreover, due to the integration of this payment system, you can fund your accounts via Maestro debit cards now. NordFX seeks to make working with trading accounts ever more convenient and efficient! 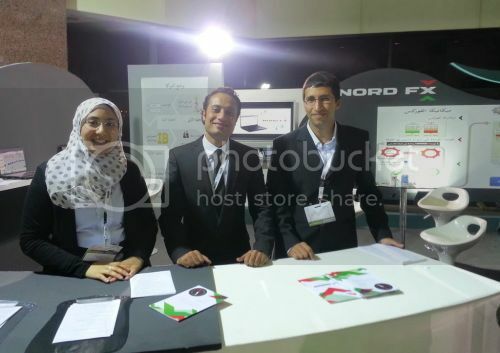 Representatives of the NordFX Arab branch made the utmost of the exhibition time. A special emphasis has to be put on the number of visitors to the company’s stand and a great interest in its services. NordFX specialists were happy to provide necessary consultations and answer any questions about working on the Forex market. 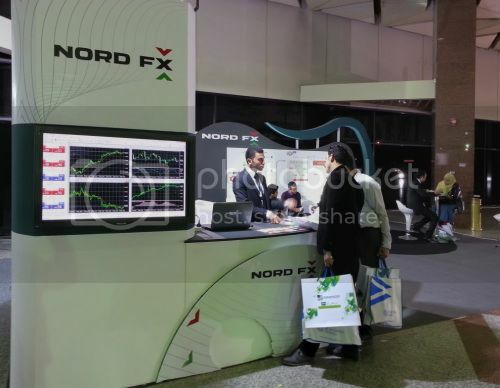 Each stand visitor had a chance to try his hand in live trading, get acquainted with trading platforms and experience firsthand the convenience and quality of NordFX brokerage services. The participation in the exhibition made it possible to meet with the company’s clients, share about the company and help all interested have a start on the Forex market. In the course of the exhibition there was also a meeting with the company’s partners which was focused on discussing the terms of future cooperation with the view of improving the quality of the provided services. 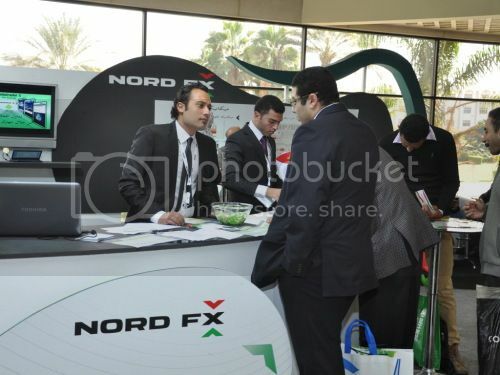 We’re grateful to the exhibition organizers and the NordFX representatives for impeccable work. Many thanks to all visitors to the company’s stand! We wish the best of luck to every trader and look forward to seeing them among NordFX clients! NordFX was one of the sponsors of this prestigious tournament for legends of the number one sport. Sponsoring a football event in Russia is an honor that allows you to be involved in the country’s public life, especially in those aspects that bring positive emotions, a great mood, inspiration and joy as you partake in something significant in this world. The matches were marked by persistent, courageous and glorious competition. The Russian side won its fifth championship title after beating Ukraine in the final game. Portugal took the third place. Congratulations to Russian fans on another victory! In the course of the tournament, the honorable Legends Cup team made of Soviet football stars was recognized in a special nomination from NordFX. The event participants held master classes for children from boarding schools who also received gifts from the company. On top of that, the children had much fun watching football tricks by Viktor Tsarev, a world record holder in football juggling. As an act of charity, NordFX also presented the children from boarding schools with sports equipment since, in addition to its professional activity, the company seeks to support various socially beneficial causes that include encouraging a healthy lifestyle, championing youth and promoting sports both in Russia and abroad. Our company is planning to sponsor such exciting sports events in the future as well. We’re interested in advancing sports and want a healthy lifestyle to be a norm in our society. Towards this end, we’re set on putting into action some more socially useful projects which, we believe, will benefit Russian people in a significant way.